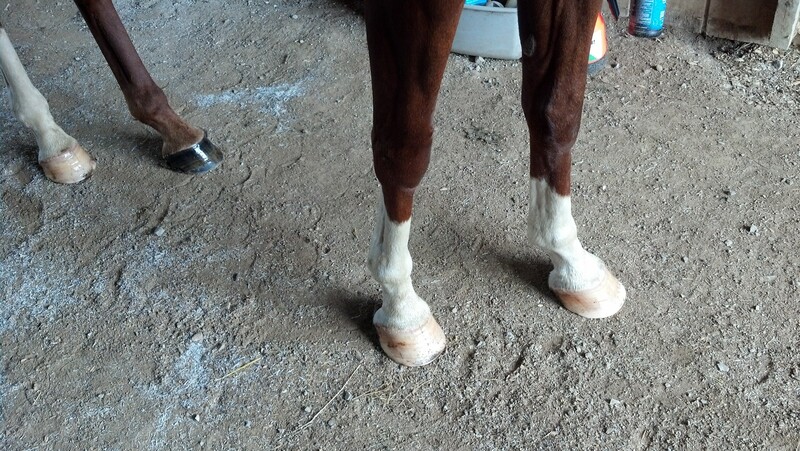 Now, in the saddlebred world, we are a little weird about our horses feet. Good feet are of the utmost importance in any discipline, and the condition of Fiz’s feet weren’t in great shape when he came to us. They were trimmed very short as a result of not being reset while out in the field (as told to me by the previous owner) and we assume he pulled his shoe(s) off thus, messing up his feet. We waited and waited to get him trimmed until his feet had a chance to grow out some! We were finally were able to have a farrier come out just to do a little trim to even out his feet. So, here’s some pictures after they were all trimmed up. 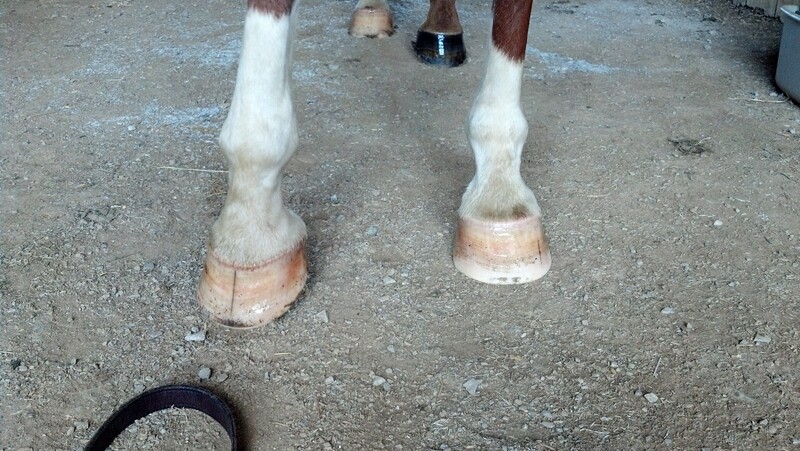 If you know anything about saddlebreds, you will notice how short the toe and the heel is. The farrier suggested we use turpentine on the bottoms of his feet to harden them up, since he was so incredibly tender footed. He also said white feet are usually always softer than the dark feet, which is news to us! The turpentine has worked wonders for Fiz’s feet, and has allowed us to consistently work him for the last several months without him being sore due to feet issues and tenderness. This is a trick we will have to remember for future reference! !